Interior doors serve a different purpose than exterior doors. They are an essential part of your home décor. They create private spaces, conceal the contents of closets, and can enhance the charm of your living space. 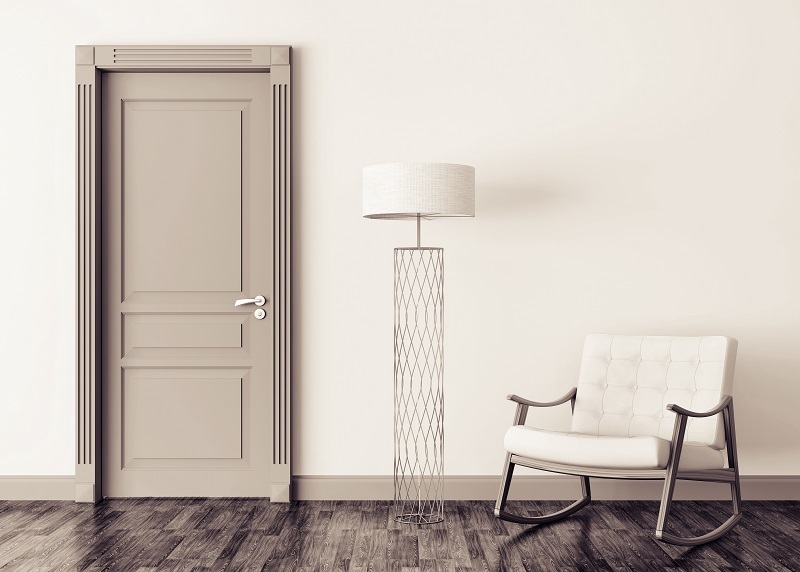 The following steps will help you get started in your search for the best interior doors. Every interior door should match the personality of your home. Consider the size of a room and what it is used for when picking a style. For example, an ornate interior door will look too busy in a tiny room or closet. Figure out which way you want the door to swing. Should it move into or out of the room? Bedroom doors usually swing inward while doors dividing communal spaces may vary. Choose the direction that feels the most natural. Interior doors can be made of different materials. Some have a hollow core, others are solid wood, and some are MDF or glass. Glass is better for sunrooms or pantries, but not ideal for bedrooms, bathrooms, or any space that requires privacy. Paint or stain your interior doors any color you like! You can keep it simple with a basic wood tone or plain white that complements a room. The door can also serve as a beautiful focal point by painting it a bold color. Casing will add visual appeal to your interior doors. Don’t overlook this important building material. Find the best interior doors and casing by contacting or stopping by ASA Builders Supply. Our experts are available to guide you to products that match your home and lifestyle. ASA Builders Supply has its own mill where pre-hung units complete with door, hinges, and frames all pre-assembled for ease of installation are built.